"So in a couple years baby, I'm a bring you some Nets," rapped Jay-Z in a recently released song called, "Hello Brooklyn." And after a big trade last week, the hip-hop star/Nets minority owner is in position to bring LeBron James to Brooklyn, too. The Nets stole headlines from the rival Knicks by trading forward Richard Jefferson to Milwaukee for 20-year-old Yi Jianlian and Bobby Simmons. By making the move, New Jersey is expected to be $20-22 million under the salary cap in 2010, when James becomes a free agent. While the struggling Knicks are New York City's longtime franchise, the Nets will get a piece of the Big Apple by moving to Brooklyn, probably in 2011. But in two years, don't be surprised if Jay-Z helps bring his buddy James to a franchise that will be attractive to play for by then. "We didn't have cap space in 2010," said Nets general manager Kiki Vandeweghe. "This deal brings us some cap space." James was born in Akron, Ohio, and plays for the Cavaliers. But his love for Jay-Z and New York is readily on display. It's not uncommon to see James don a Yankees cap, not a Cleveland Indians cap. James even flashed a Roc-A-Fella Records hand signal, for Jay-Z's label, when he was introduced at the 2005 All-Star Game in Denver. When James and Wizards guard DeShawn Stevenson had a war of words during the first round of the playoffs, Jay-Z sided with "King James" by dissing Stevenson in an underground rap song. The lone Celtics home game Jay-Z attended this season occurred when James and the Cavaliers were in town in the playoffs. Also, James loves Jay-Z's music so much that the majority of the songs played at Cavaliers' home games are Jay-Z's. Coincidence? Yeah, right. "So in a couple years baby, I'm a bring you some Nets." In a couple years, the Nets will likely have a solid, young squad that could entice James to put on a New Jersey uniform. The Nets have a talented young point guard, Devin Harris, with All-Star potential. Jianlian has the potential to be a top small or power forward. And perennial All-Star Vince Carter could still be on the roster. The Nets also acquired a couple of steals on draft night in Stanford center Brook Lopez (10th pick), California forward-center Ryan Anderson (21st), and Memphis All-America swingman Chris Douglas-Roberts (40th). The Nets have some other talented young players in ex-Boston College forward Sean Williams, and former UConn stars Josh Boone and Marcus Williams. Sure, the Nets will take their beatings in the near future, but in 2010, New Jersey will be primed for success with a list of young stars, and the shooting guard position available for James. "Richard was a tremendous player," Vandeweghe said. "We wish him all the best luck in the world. But our team wasn't as good as we'd like for it to be." The Nets traded perennial All-Star Jason Kidd to Dallas last season, and have now dealt Jefferson. Is Carter next? "I wouldn't say that," Vandeweghe said. "There have been some offers for Vince . . . We like Vince a lot. Where are you going to find a guy that can give you 24 points, 6 rebounds, and 6 assists per game? Those guys don't come along often." No, but there will be another guy that doesn't come around often in James. Clearing cap space is an ingenious move by the Nets. Say what you want about Halle Berry, Drew Carey, the Rock and Roll Hall of Fame, the Indians, and the Browns, there is nothing from Cleveland that rocks more than James. His picture is plastered on a tall building across the street from Quicken Loans Arena. The most popular outfit in town is a No. 23 Cavaliers jersey. But in 2010, how could you blame James for leaving? He would have spent seven seasons giving his heart and soul to Cleveland. He took the Cavaliers to their first NBA Finals in 2007. He's made the Cavaliers and the city a lot of money. Sure, playing in Madison Square Garden would be exciting for James. Just imagine the endorsement money that would come his way on Broadway. But with all those bad contracts, it seems doubtful that the Knicks would be in position to make a run at him. 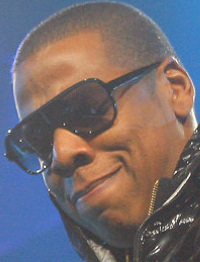 Somewhere, Jay-Z is smiling and saying to himself, "So in a couple years baby, I'm a bring you some Nets." Kevin McHale was initially satisfied with selecting Southern Cal guard O.J. Mayo for the Timberwolves with the third pick in Thursday's draft. But after talking to the Grizzlies at the conclusion of the first round, he opted for a big trade that wasn't finalized until early Friday morning. The Wolves sent the rights to Mayo, ex-Celtic forward Antoine Walker, and guards Marko Jaric and Greg Buckner to the Grizzlies for the rights to UCLA forward Kevin Love (No. 5 overall), sharpshooter Mike Miller, forward Brian Cardinal, and center Jason Collins. Mayo reportedly found out about the deal early Friday morning while at rapper Jay-Z's 40-40 Club in New York, while Love got word while eating a late dinner. "We were able to land Kevin Love, a guy that we absolutely loved, had him on our board, at that time we looked at our board and said, 'The best guard on the board is O.J. Mayo, the best big man on the board was Kevin Love,' " said McHale, Minnesota's vice president of basketball operations, at Love's introductory press conference Friday. "We thought, 'Well, let's see what we can do and can we acquire some other things?' We were looking around, but we were really, really excited when the deal went down, just absolutely elated. It worked out very well, we were able to accomplish our goals." Love was ecstatic to go to Minnesota, in part to learn from his all-time favorite player, McHale. The 6-foot-10-inch, 255-pound Love, who averaged 17.5 points and 10.6 rebounds last season as a true freshman, might end up reminding McHale of himself. "Kevin played in the best conference, on the best team, in the Pac-10, which was loaded with talent," McHale said. "He was the player of the year. He did something right in the Pac-10. You have to remember whom he was playing against." While Minneapolis is one of the least attractive NBA cities because of its bitterly cold winters, Love is looking forward to being there. "I'll be living with my brother in Minneapolis," Love said. "I want to get out and see the city as much as possible. It's going to be my new favorite city. I have to fall in love with it and I'm looking forward to it." After several bad breaks, Bill Walker is hoping for some good luck with the Celtics. "Every step of his career has been two steps forward and four steps back," said Walker's agent, Chris Rivers. "He knows he's been sidetracked." Walker graduated from Cincinnati North College Hill High in October 2006 and enrolled at Kansas State Dec. 16, 2006, the first day of the second semester, at age 19. The 6-foot-6-inch, 235-pound swingman showed promise in his first six games with the Wildcats, averaging 11.3 points and 4.5 rebounds, before missing the remainder of the season with a torn anterior cruciate ligament in his left knee. The NCAA then granted him a redshirt season because of the injury. While playing with freshman forward Michael Beasley, the second overall pick in the draft, Walker averaged 16.3 points and 6.3 rebounds last season. Walker scored 20 or more points nine times and topped the 30-point mark twice. While still uncertain how it happened, Walker suffered a right knee injury during a workout in early June at Golden State. Even so, he decided to stay in the draft and plans to have surgery next month that he says will keep him out three weeks. "It's not serious," Walker said. The latest injury, however, probably played a role in Walker being drafted 47th overall by Washington. The Celtics acquired Walker on draft night for cash considerations. Walker will not receive a guaranteed contract, and because of the injury won't be able to play in the Celtics' rookie and free agent minicamp this week in Waltham. "You've got to expect the best and prepare for the worst," Walker said. "I'm really going to work my hardest to make the team." Grizzlies general manager Chris Wallace believes the Celtics might have a steal in Walker. "Walker was ranked in the mix as a high school junior with [O.J.] Mayo, [Kevin] Love, [Derrick] Rose, Beasley, etc., before he had to depart early for college," Wallace said. "Big upside." Celtics guard Rajon Rondo and center Kendrick Perkins will not play for a select team that will scrimmage the US Olympic team July 21-24 in Las Vegas, but several talented young players will challenge the NBA stars. The projected roster includes Timberwolves forward Al Jefferson, Atlanta's Al Horford, Portland's LaMarcus Aldridge, Philadelphia's Andre Iguodala, Seattle's Kevin Durant and Jeff Green, Sacramento's Kevin Martin, Detroit's Rodney Stuckey, and Chicago's Derrick Rose. USA Basketball managing director Jerry Colangelo was surprised when told yesterday that Rondo and Perkins had declined. Celtics general manager Danny Ainge cited the NBA champions' short offseason as a reason Rondo and Perkins won't participate. Perkins also has left shoulder concerns and might need surgery. "Perkins is not 100 percent, and he's definitely not playing," said Ainge. "Rondo talked to me about it. He had a lot of plans and it's already a short offseason." The Celtics will hold a minicamp for 16-20 players at their Waltham training facility from Wednesday through Saturday. Celtics forward Glen Davis, guard Gabe Pruitt, and first-round draft pick J.R. Giddens are expected to participate, as are ex-NBA players center Jackie Butler, forward Lawrence Roberts, and guards David Noel, Omar Cook, and Mustapha Shakur. Forward Bill Walker, a second-round selection by Washington who was traded to Boston, will not participate. Ainge said Walker will likely undergo minor knee surgery this week. Teams can begin negotiating with free agents Tuesday, and there has been a lot of talk concerning the Celtics' ability to re-sign forward James Posey. Other Celtics set to become free agents include forward-center P.J. Brown (who is expected to retire), guards Eddie House, Sam Cassell, and Tony Allen, and center Scot Pollard. "Players don't leave a team after they won a championship with them," said an NBA general manager when asked about Posey. Don't be surprised if quality veterans show interest in coming to Boston at a discount for a chance to play with the NBA champions. Forward-center Chris Andersen is a potential addition. Before signing Brown last season, the Celtics kept a keen eye on whether "The Birdman" would become a free agent after completing a two-year ban for substance abuse. New Orleans, however, exercised its right to keep him through last season. The two-time NBA dunk contest participant's athleticism, court speed, shot-blocking ability, and size (6 feet 11 inches) could make him a great fit defensively as Perkins's backup center. Celtics second-round draft pick Semih Erden has a 50-50 chance of playing in the NBA, a longtime NBA international scout said. The 60th selection in Thursday's draft played for Fenerbahce Ulker in Turkey last season, averaging 7.1 points, 4.7 rebounds, and 19.5 minutes per game. The 6-11, 240-pounder, who missed several games because of a knee injury, has one more year left on his Fenerbahce contract. "He was a high prospect," the scout said. "He's a little bit heavy footed. He can play. He has a big body, too. He played well this year in spurts. He's skilled. He's not the greatest athlete in the world, but he's a big body. He knows how to play. He's played against good competition. With those kind of kids, you can't tell. It's a tough one to tell. But for a second-round pick, he's a great pick." Mary Faherty, Red Auerbach's longtime secretary, died last Wednesday. After answering an ad in the Boston Globe for a job titled, "Secretary needed," she was Auerbach's secretary from the early 1960s until 1997. Funeral services are scheduled for tomorrow at 10 a.m. at St. Anthony's Church in East Falmouth. "Mary was a beautiful and sweet lady and the most professional and conscientious coworker," said Jeff Twiss, Celtics vice president of media relations and alumni relations. "She always had a smile and a pleasant word for you no matter how busy she was." After knocking off the Lakers, NBA Finals MVP Paul Pierce won the BET Awards Celebrity Pool Tournament June 21 in his hometown of Los Angeles . . . Walker and Grizzlies guard O.J. Mayo have been friends since they were 9. They grew up in Huntington, W.Va., played AAU basketball together, and attended Cincinnati North College Hill High together. Mayo was drafted third overall by Minnesota last Thursday before his draft rights were traded to Memphis. "We're close friends," Walker said. "I'm ecstatic he was picked so high." . . . Celtics mascot Lucky, a.k.a. Damon Blust, will soon be having right shoulder surgery and didn't dunk during the Finals because of the injury. The 32-year-old, who has overcome left elbow and right knee surgery, said he will soon be dunking again. "I have the luck of the Irish," Lucky said. "I can't wait to get fixed up for next season when we get [championship No.] 18. It's well worth it."